The China brand Xiaomi has been receiving overwhelming response worldwide due to its affordable price with premium specs of its smartphones. While we Malaysians are still waiting for the launch of its Mi3 smartphone that is going to happen next week, the company has already unveiled its first tablet in Beijing. Although the MiPad is quite affordable, it doesn’t scale back on the hardware, and is in fact the first tablet in the world to feature NVIDIA’s Tegra K1 processor. The K1 comes with a quad-core 2.2 GHz Cortex A15 CPU, but the GPU is where it stands out, with its 192 CUDA cores. The K1 is the first mobile SoC that leverages a PC-class GPU, in this case the Kepler architecture. NVIDIA has also implemented a fifth Cortex A15 core in the Tegra K1 designed for low power utilization. The presence of a PC-level GPU means that the MiPad can deliver performance in spades when it comes to gaming. Other specs include a 7.9-inch display with a resolution of 2048 x 1536 and pixel density of 326 ppi, 2 GB LPDDR3 RAM, 16/64 GB storage and a microSD card slot to expand storage a further 128 GB, 8 MP rear camera, 5 MP front camera and a 6,700 mAh battery in a chassis that weighs 360g. Naturally, the tablet runs a Xiaomi’s MIUI software. The MiPad features Wi-Fi ac and Bluetooth 4.0 along with the usual host of sensors. There wasn’t any mention of a cellular variant just yet, nor has Xiaomi announced global availability. 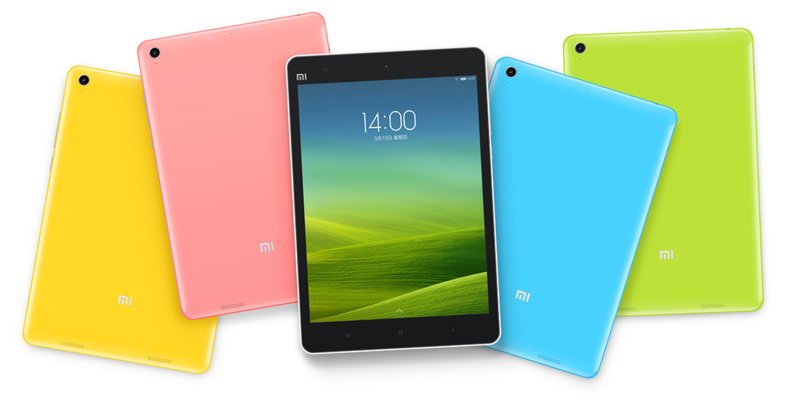 But Chinese users can grab the MiPad through a beta test program starting June.